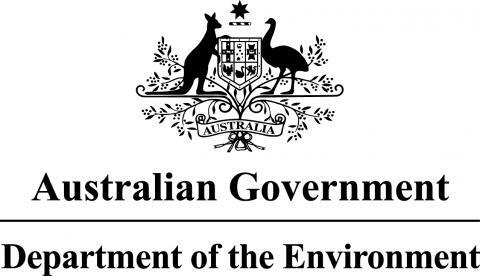 The NERP (National Environment Research Program) is a national funding program for research across Australia. 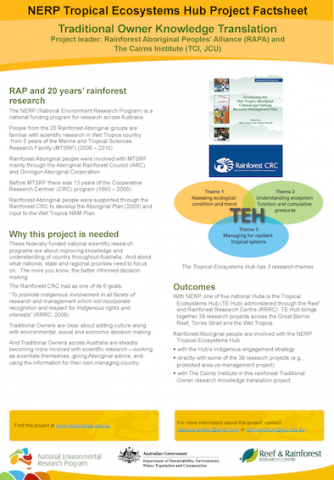 People from the 20 Rainforest Aboriginal groups are familiar with scientific research in Wet Tropics country from 5 years of the Marine and Tropical Sciences Research Facility (MTSRF) (2006 – 2010). Rainforest Aboriginal people were involved with MTSRF mainly through the Aboriginal Rainforest Council (ARC) and Girringun Aboriginal Corporation. 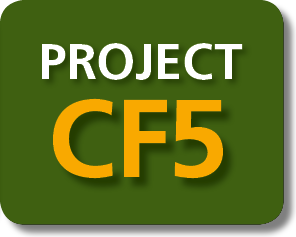 Before MTSRF there was 13 years of the Cooperative Research Centres’ (CRC) program (1993 – 2006). Rainforest Aboriginal people were supported through the Rainforest CRC to develop the Aboriginal Plan (2005) and input to the Wet Tropics NRM Plan.